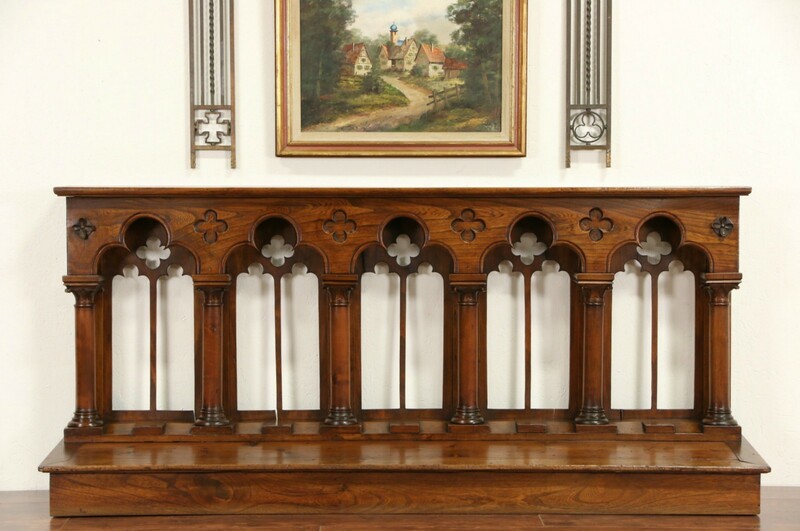 Architectural salvage from an 1870 era church, this communion rail or kneeler is solid ash and pine. The original finish is very well preserved, waxed and buffed so all that is needed is an occasional wipe with a soft dry cloth. There are dings and mars for antique character on this hand carved American made railing from Chicago. Columns are shaped. There are shrinkage separations from age on the backside, see photos. Size is 79" long, 18 1/2" deep and 36" tall.